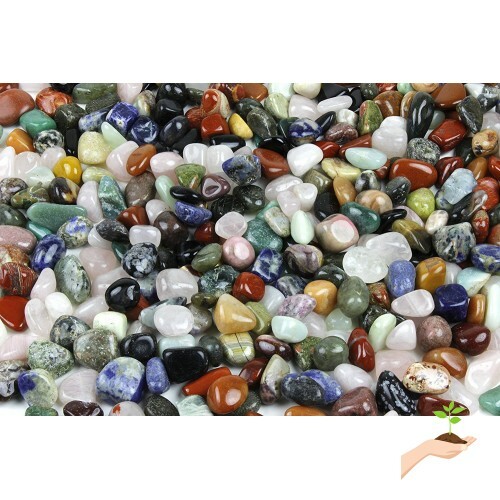 Your order will contain mixed polished stones approximately 5/8 to 1 inch in size. The average size is around of an inch. There are approximately 90 to 100 stones per pound. 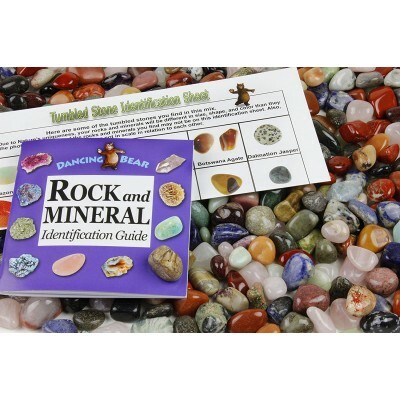 You will also receive a 27 page Rock & Mineral booklet. This booklet offers a wonderful introduction to the earth's geological treasures. 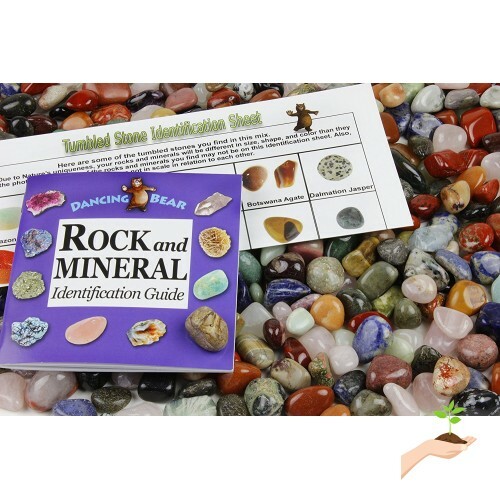 It is a full of brilliant photos and interesting facts designed to introduce children of all ages to the wonders of rocks, minerals, and crystals. You will also receive a color identification/information sheet, which will help you identify the stones in the mix. On the back of the identification sheet is information about each stone plus there is a Mohls Scale of Hardness on the front of the id sheet. Your bag will contain many of these stones: Agate, Amazonite, Amethyst, Aventurine, Black Onyx, Citrine, Dalmatian Jasper, Gold Stone, Hematite, Howlite, Leopard Ski n Jasper, Moss Agate, Quartz, Red Jasper, Rhodonite, Rose Quartz, Snowflake, Obsidian, Sodalite, Tiger eye, Turitella, Agate, Turquenite, and Unakite. This is a random mix and you will receive some duplicates. The more you order the more you save. You can order in 1 pound, 2 pounds, 5 pounds, 11 pounds, or 22 pounds. If you need more, let me contact me for a custom quote. When you order from Dancing Bear your Satisfaction is Guaranteed. If you are not satisfied with your order for any reason, I will refund the price you paid plus pay for shipping. Assembled in the USA.